Who was that girl that did not make it to Asia’s Got Talent with a very good singing voice? 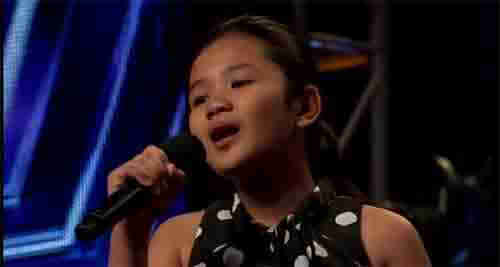 Watch here as young Fitri Cerado sings under the accompaniment of panel judge member David Foster. She may return for the future audition given the positive feedback earned. What a voice. By the time she returns, her voice should have “ripened” for picking. Watch the 11-year old perform snippets of “Somewhere Over the Rainbow,” the unseen footage never aired on TV. While David said Fitri will only complete six bars, see what happened. Video and photo courtesy of Asia’s Got Talent. This entry was posted in MEDIA, NEWS, TV, VIDEO and tagged Asia's Got Talent, talent search. Bookmark the permalink.